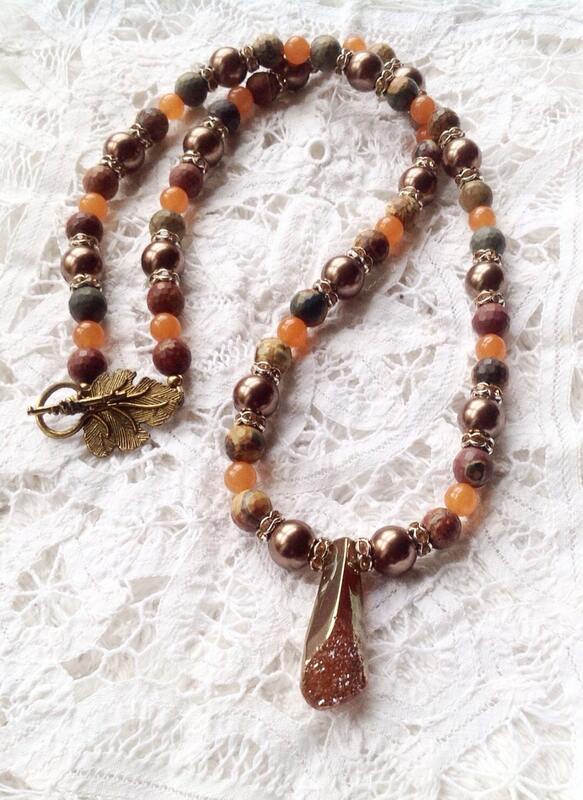 Here you have a 30.5 inch necklace made of faceted unakite beads, orange jade rounds, and brown shell pearls. 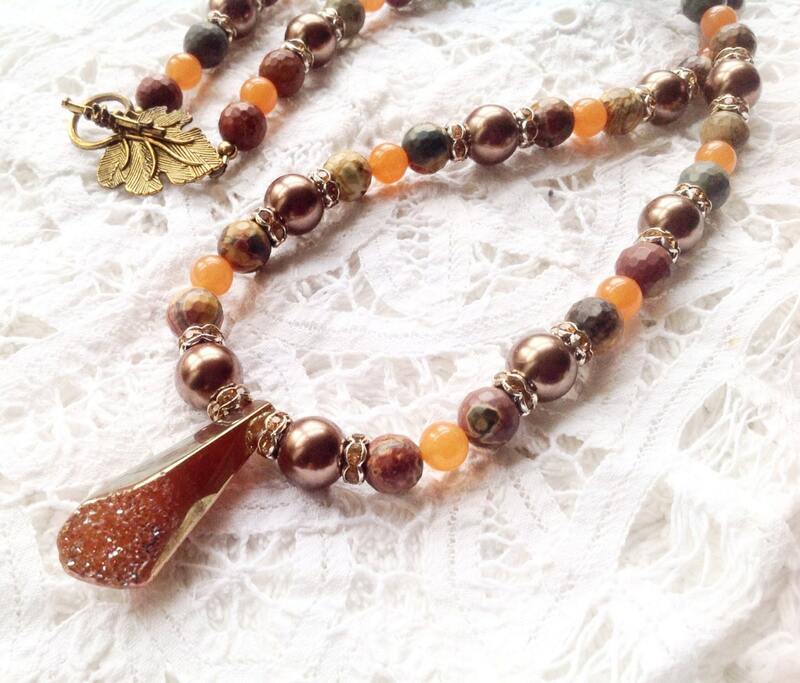 Hanging is a copper color titanium crystal agate geode pendant that measures almost 1.75 inches long. It has a lot of shine to it. 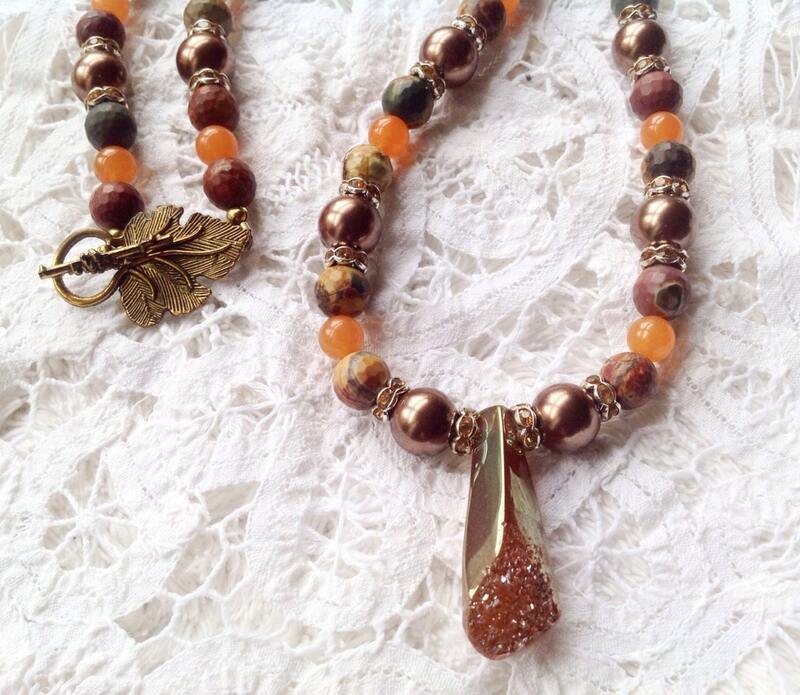 It all comes together with a large, gorgeous brass leaf toggle clasp.